THIS IS BOB. 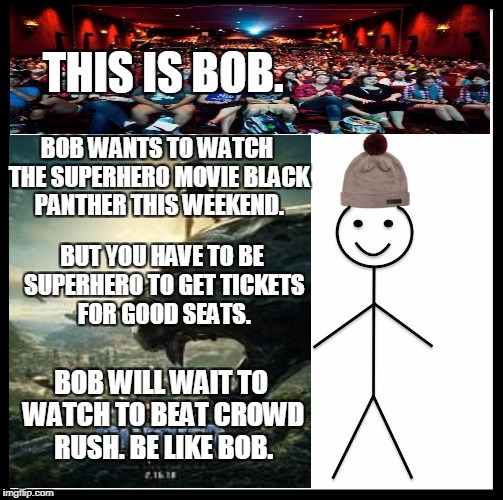 BOB WANTS TO WATCH THE SUPERHERO MOVIE BLACK PANTHER THIS WEEKEND. BUT YOU HAVE TO BE SUPERHERO TO GET TICKETS FOR GOOD SEATS. BOB WILL WAIT TO WATCH TO BEAT CROWD RUSH. BE LIKE BOB.